Black hooded robe comes with attached vinyl chest. Detailed sculpted and painted PVC mask also included. 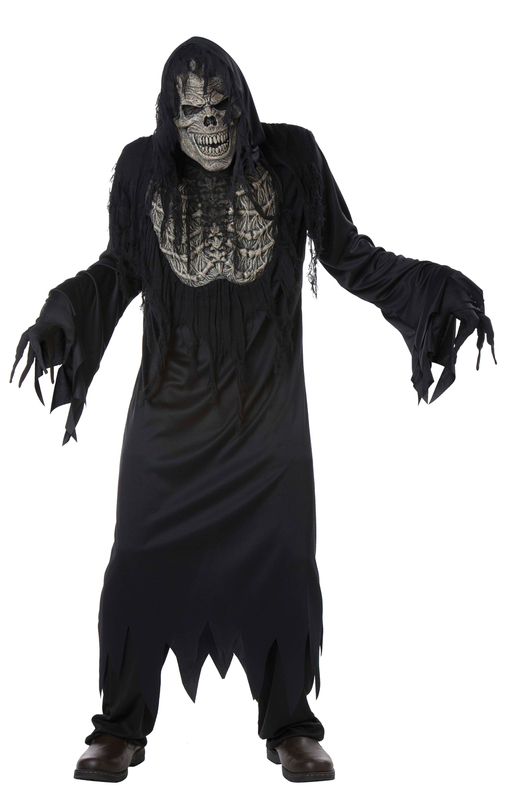 Shredded ends on sleeves, robe, and hood completes this ghoulish look. Lightweight and easy to wear costume. Add your own pants. Adult large fits up to size 42.